A few tents were already up and the barbecue grills were already smoking when I biked through Overton Park in the early morning of the Fourth of July. The zoo would open in a few minutes and cars were lining up outside the entrance to the parking lot. I passed a couple dozen joggers and bikers on the road through the Old Forest. The golfers could go at their own pace without waiting on fairways ($8 without a cart) that were neatly mowed and greens that were more brown than green. A security guard at the Memphis Zoo's maintenance area told me past experience suggested the Fourth wouldn't be an especially busy day because locals tend to stay home and celebrate and the impact of $4 gas is a wash. The zoo's busiest day by far, he said, is Tuesday, when admission is free after 2 p.m.
Overton Park, 107 years old, is enjoying a revival. The last five years plus the next five years will be as busy as any decade since the park took shape a century ago under the eye of master planner George Kessler (who is sometimes overlooked when credit is mistakenly given to Frederick Law Olmsted, who died in 1903). The shell will reopen this fall with a free-concert series thanks to its benefactor, the Mortimer Levitt Foundation. The zoo is scheduled to complete Teton Trek, a four-acre, $12 million expansion with a Yellowstone Park theme, in 2009. An African-themed exhibit is scheduled to open in 2010. Memphis College of Art and the Brooks Museum are going strong. Veterans Plaza on the park's west side was a nice addition in 2005, honoring 1,525 Shelby County residents who died in wars since World War I. And what would Overton Park be without controversy? Citizens to Preserve Overton Park, heirs to the group by the same name that stopped Interstate 40 from going through the park 30 years ago, has reformed. This time the mission is to protect the Old Forest and serve as a counterweight to the nonprofit Memphis Zoological Society and its vague intentions for 17 acres of the forest it controls and has fenced off with a seven-foot fence topped with barbed wire. A zoo expansion, particularly when it is funded with private funds including $10 million from FedEx founder Fred Smith and his wife Diane, will not and should not rally opponents like an interstate highway that would have cut Midtown in two. But quasi-public nonprofit agencies that take over public property and public functions tend to play their cards close and get musclebound. See the Riverfront Development Corporation. Citizens to Preserve Overton Park is a useful and necessary watchdog. Some day quasi-public nonprofits will realize they should give their opponents board representation instead of treating them like adversaries. Writing about parks is as fatuous as writing about food or music. If you want to know what Overton Park is like, see for yourself. You can walk around its perimeter in an hour or so, but be careful on the corner of East Parkway and Poplar where there are no sidewalks. The road through the Old Forest has been closed to cars for years and is one of the safest and coolest bikeways in town. The free concerts at the shell start in September, but my pals on Beale Street say their long-term success will depend on their ability to sell or look the other way on beer and wine. We'll see. They're funded for at least a year. My personal view is that the park is a lot better than it was when I moved here and started using it 25 years ago. The playground on East Parkway, where my daughter's Snowden School class -- no kidding -- once found a dead body, has been rebuilt and gets a lot of use, as do the pavilion and picnic tables. The Poplar entrances and park throughways are beautiful and make sense, thanks to planner Ritchie Smith. Ultimate Frisbee has breathed life into the playing fields. Rainbow Lake has gone to the dogs, in a good way. The playground next to the lake, however, needs a makeover, and nobody has yet come up with a solution to the problem of public bathrooms. And the worst misfit with the Old Forest is not the zoo but the city's vehicle maintenance and storage yard in the southeast corner next to the fire station. I think a boardwalk through part of the Old Forest would be a good thing, while the rest of it stays the way it is. There are trails now, some of them marked. I biked and walked one Friday morning and didn't see another person (and almost no litter). But I wouldn't send a child through it, not now and not 25 years ago. I've seen too many pervs in the parking lots and woods over the years. Just last week Rhodes College sent out a warning after a woman was attacked in daylight on the Vollentine-Evergreen Greenline, which is much less secluded than the Old Forest. The zoo was, as the security guard predicted, not that crowded. It cost $13 for two people, thanks to a Mountain Dew promotion running Friday. I don't think I have seen a cleaner zoo or one that could be walked as easily in a couple of hours. The white tiger was active and one of the pandas was even cutting up, for the first time in my experiences. And if Teton Trek is as good as Northwest Passage and the swimming polar bears, Memphis will be very fortunate. Skip the butterfly exhibit, which costs an extra buck and has a disappointing number of butterflies for some reason. 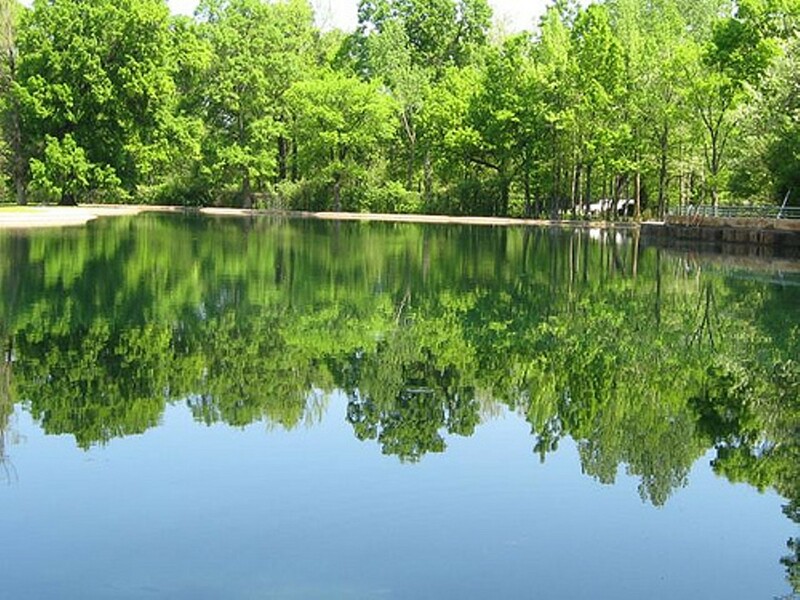 Overton Park has 342 acres, and there is something for everyone. But like I said, see for yourself.